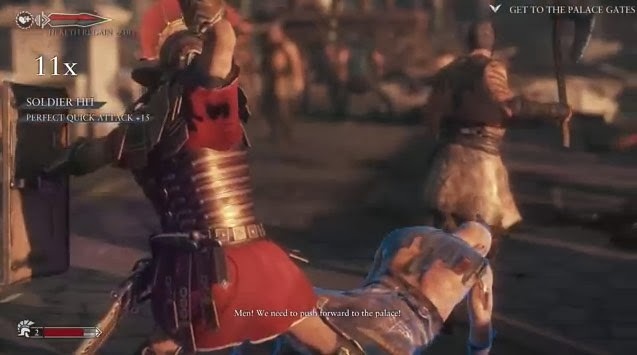 One of the first exclusive games available only for the new Xbox One, released 2 weeks ago, was RYSE : SON OF ROME, a violent RPG set in Rome. Someone edited all the movie storyline together from the game and you can view it on Youtube (until they pull it). I don't have an Xbox so I checked it out. Lotsa hacking and slashing.